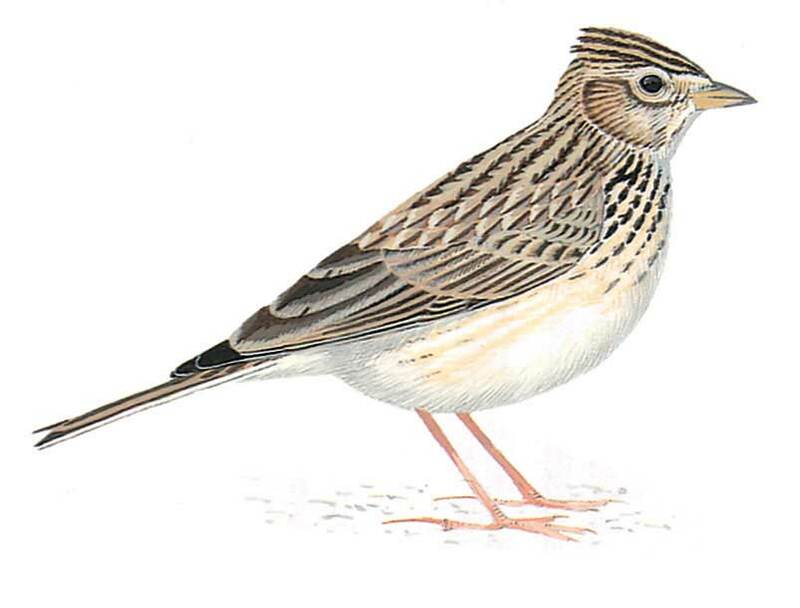 Medium-sized with earth-grey upperparts streaked dark, and warm brown edges to tertials and coverts in fresh plumage; underparts buffish white heavily streaked/spotted on breast; can show a small crest (much smaller than in Crested and not spiky); rather indistinct head marks. Juvenile has upperparts spotted dark with scaly ochre markings. In flight, shows distinct whitish trailing edge to wings and broad triangular tail with white sides.